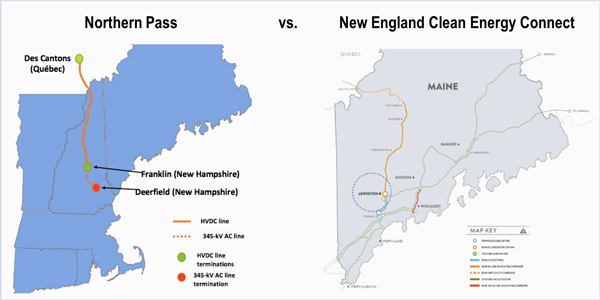 Avangrid announced Friday that Massachusetts has selected the transmission project of its subsidiary, Central Maine Power, as the alternative for the state’s 9.45-TWh clean energy solicitation if New Hampshire regulators do not approve the Northern Pass transmission line by March 27. 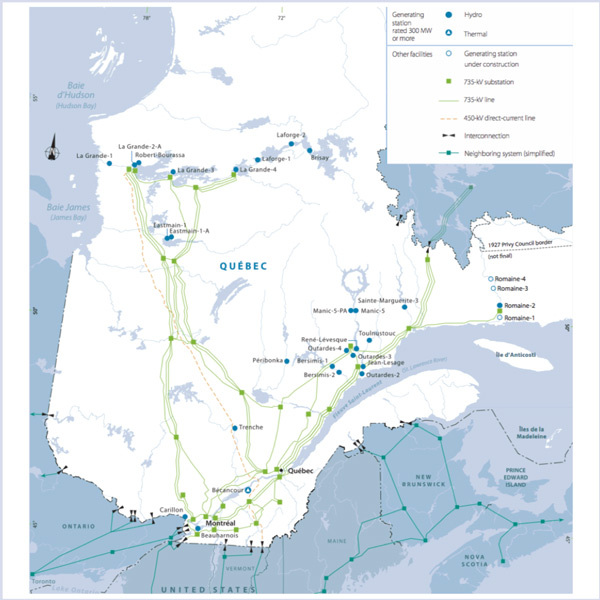 CMP and Hydro-Quebec’s New England Clean Energy Connect (NECEC) transmission project would deliver up to 1,200 MW of Canadian hydropower to the New England grid via a 145-mile transmission line. The partners estimate the project to cost $950 million. Dolan said existing power plant operators in the region have invested more than $13 billion in their plants without any guarantee of cost recovery or profit. CMP submitted applications for state and federal permits for NECEC in mid-2017 and said it expects to receive state approvals later this year and final federal permits in early 2019. The company said it will immediately begin negotiation of long-term contracts with the Massachusetts electric distribution companies to prepare for a submission to the state’s Department of Public Utilities in April 2018. “Our applications for state and federal permits are moving forward with the strong support of communities and stakeholders in Maine,” CMP CEO Doug Herling said in a statement. Massachusetts issued its MA 83D solicitation for hydro and Class I renewables (wind, solar or energy storage) last July. The selection committee for the clean energy request for proposals issued in July 2017 includes representatives from the state’s Department of Energy Resources and from distribution utilities Eversource, National Grid and Avangrid subsidiary Unitil. Any contract awarded under the request for proposals must be negotiated by March 27 and submitted to the DPU by April 25. Other proposals for the RFP included Nova Scotia-based Emera’s Atlantic Link project, a 375-mile submarine HVDC transmission line from New Brunswick to Plymouth, Mass., to deliver 5.69 TWh of clean energy per year. National Grid partnered with Citizens Energy on two transmission projects; one of them, the Granite State Power Link, is a 59-mile HVDC line from northern Vermont to New Hampshire to deliver 1,200 MW of new wind power from Canada. The state-owned Hydro-Quebec also partnered separately with Transmission Developers Inc. for the RFP and, as with Northern Pass, made two proposals, one pure hydro and one with a wind energy component.